her comment: I love the navy hopper shoes, too for my little boy. Thanks for the contest. Buskins is a venerable old cobbler of soft-soled baby shoes, having been in business for more than two decades. 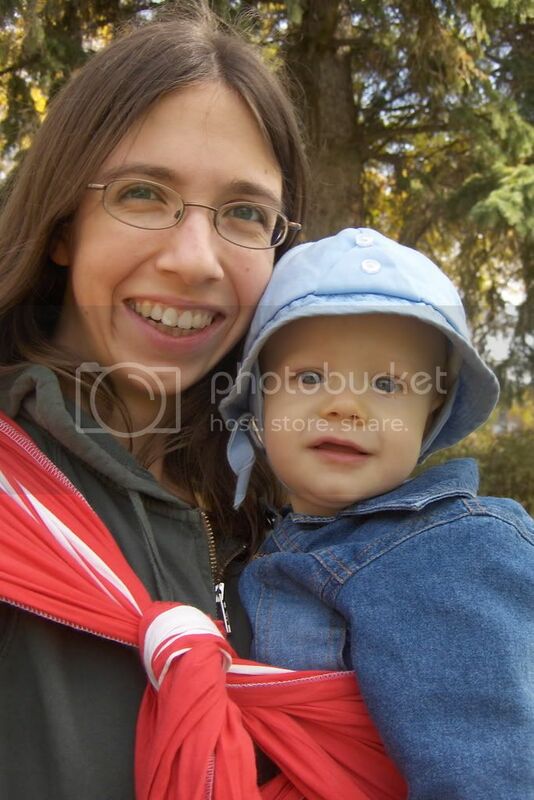 In 2007, they gained new ownership and have been undergoing some stylistic changes, including the birth of a sibling company, Jazzy Toes. The Buskins Navy Hopper shoes are more his speed, but I managed to request the wrong size, so maybe they could be yours… see the end of the post for more on that. Jazzy Toes socks are unbelievably adorable. It is really hard to pick a favorite style (there are six for each gender), so they graciously sent us a Boys Variety Original sampler. Our set is a 12-24 month toddler size, but the baby size set would be amazing for a shower gift… the packaging was designed to be mailed as-is, so it would be a total no brainer to drop in the mail, too. Entries will be accepted through May 11th and I'll pick the winner using Random.org. US/Canada readers are eligible. Only one entry/comment per person, please. I love the cowboy boots Jazzy Toes, they are so cute! Cute! My favorites are Hopper Suede Baby Shoes in Brown Stripe and the Walker Boots in Olive. How cute are the sandals socks! I love the cowboy boots Jazzy Toes! the sandooz sandal in white is adorable! I love the Sandoolz Sandals in White Leather! CUTE! I love the Jazzy Toes Baby Socks: Mary Janes - Girls. Those are so adorable!! I like the Walker Boots in Chocolate-very cute! i love the cindy shoes in white! I love the Navy Hopper shoes size 4 for my little guy. Thanks for the giveaway! My favorites are the Jazzy toes Mary Janes. Thanks for the giveaway. 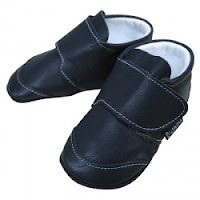 I love the Hopper Leather Shoes in Black for my son, they look so versatile! I like the jazzy toes girls variety pack. I like the Buskins Cindy in lilac. Thanks! Love the Jazzy Toes Sneakers! I like the Hopper shoes in navy! I like the Summa sandals! i just love the jazzy toes girls variety pack. I am going to have to order the Boys Jazzy Toes in Sneakers. They look like little Converse All Stars - DH's shoe of choice. Navy hoppers are my fave simple and sweet! Adore Buskins Pink Browse Girls Shoes and the Hopper Shoes in choc/sand. Jazzy Toes Cowgirl Boots were our fave. The shoes are so beautiful and sofisticated! 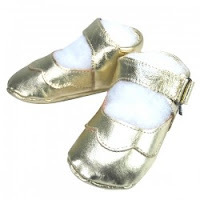 Beautiful baby (like mine) needs beautiful shoes( like these)! I like the Buskin AMANDA in WHITE with LIME FLOWER and WHITE DOT. I love the Cindy Shoes in Pink Suede for my grandaughter but I love the Buskins Navy Hopper for my grandson. Thank you for offering this contest! The Hopper Suede Baby Shoes in Pink are really cute! I love the Jazzy toes sneakers! We're hoping #2 is a boy, so I'd love to win these! My favorites for my daughter are the Summa Sandal in Pink. The navy hopper's would be great for my grandson! I thought that the boys Walker boots is chocolate were just adorable! Oh my gosh...those sandal socks are ridiculously cute. The boys Walker Boots in Chocolate are just adorable and I love the Jazzy socks. So cute and unique. What is it about baby shoes? They are so cute and so hard to choose a favorite. the girls hopper baby shoes in berry are too cool -- i swear, if i could get a pair in an adult size, i'd wear 'em all over town. they just look so comfie! I love the Hopper Suede Baby Shoes in Tan Suede. These are so adorable. If I won these would go to my beautiful nephew! He is turning one and these would be so perfect! I love all of their shoes they are wonderful. The JazzyToes baby socks,Mary Janes are too much! Love 'em! I love the boys sandals! red with brown... so cute! I love any of the jazzy shoes! They are adorable! I like the suede brown shoes with the stripe. Jazzy Toes in wingtips are adorable as a set to give or keep! the sandal jazzy toes are hilarious! I like the hopper star navy. I like the red and white flowered Amandas! love the Jazzy Toes Baby Socks!!! I wish I thought of the idea!!! LOVE THE HOPPER LEATHER SHOES IN BLACK. I love Cindy in Lilac-thanks!!!! I love the Walker boots in tan. Thank you. I like the hopper suede baby shoes in berry. How cute! I would love to enter, Thanks!! I LOVE THE WALKER BOOTS IN CHOCOLATE ON BUSHKINS PAGE! I love the Walker Shoes!!! So cute. The sneakers Socks for little girls are simply too cute -- what a nifty idea. I love the Amanda in Red, White Flower and Red Dot by Buskins. Hard call! I think the Hopper Suede Baby Shoes in Pink, but closer runners up are Lucy Pink with Purple Flower and Cindy Shoes in Pink Suede! Id love a variety pack of the Jazzy Toes Boy Collection! It's a toss up between the Jazzy Deck Shoes and the Wingtips! Thanks! The Walker boots in Olive are adorable! The boot socks are too cute! I really like the summa sandals in pink leather. i like the cowboy boots jazzy toes. seriously im dying over here. I blogged your contest on prizeatron! Those Jazzy toes are adorable! I love the cowgirl ones! Jazzy toes variety pack! I need my daughter to have the options (that I get to pick out :) ) for each of her outfits! How cute are those! Oh, and those shoes are adorable, my best friend is due in July, I am making her a diaper wreath to go on her hospital door, I'd love to have these to hang from it!! I love the Walker Boots in Olive! Perfect for the little Pacific Northwest baby in our life! I really like the Walker Boots in Chocolate. Walker Boots in Chocolate are cute - seem to be very popular too! I love the cowboy boots Jazzy Toes. I love the navy hopper shoes, too for my little boy. Thanks for the contest. I like the NAvy Deck shoes! I like the Mary Janes from Jazzy Toes!!! I like the Jazzy Toes Mary Janes and the variety pack. I love the navy deck shoes and the navy Hoppers! I like the sandal socks. The Cindi-gold Buskins are sweeeeeet! Those sandal socks are also cute and fun. I like the Jazzy toes the best! Summa Sandal in Light Pink Leather would look wonderful on my daughter! I actually like the Hopper Shoes in Navy. My nephew would love them. sandooz sandals, white - how cute are they? I love Baby socks and shoes! My favorite pair of Buskins are the Lucy Pink with Purple Flower. I would love to win some shoes for my baby. Thanks! I love the chocolate walker boots, my son would look so cool!! The Jazzy Toes Sneakers are super cute! I like the Jazzy Toes Sneakers! Definitely the Buskins Partees in red. I love the Walker Boots in Olive and many others. I love the Cindy pair!! Too CUTE!!! Cool shoes! I have been thinking I need to get some for my baby before we leave. I love your son's name! My baby is 1 month younger than yours. But back to the topic at hand, I like the little Bushkins with the star on them, and I love the Jazzy Toes. 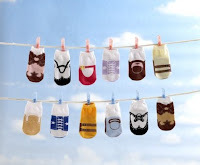 The designer is so right...they don't make a lot of cute baby boy stuff! I love the Wingtips, but I have actually considered ordering the variety pack before. It's better if you win it! Love the Summa Sandal in light pink! What adorable little shoes! I especially like the Jazzy Toes Baby Socks: Mary Janes - Girls. I love the Summa Sandal in light pink & the Mary Jane socks. I like the Amanda in Pink, Lime Flower and Hot Pink Dot shoes.